Being unable to fall asleep, stay asleep or waking multiple times during the night are symptoms of insomnia. Many different things can cause a person to suffer from insomnia. Things you eat or drink, such as caffeine or alcohol, are common causes of insomnia. It isn’t just stimulants or depressants that can cause insomnia thought. Eating rich or spicy food before bed is another common trigger. There are two kinds of insomnia, 1) primary insomnia and 2) secondary insomnia. Primary insomnia means that a person is having sleep problems that are not directly associated with any other health condition or problem. Secondary insomnia means that a person is having sleep problems because of something else, such as a health condition (for example, asthma, depression, arthritis, cancer, or heartburn), pain, medicine they are taking; or a substance they are using (such as alcohol). There are still other ways to classify insomnia. One of the most common forms of insomnia is called psycho-physiological (“mind-body”) insomnia. This is a disorder of learned, sleep-preventing associations, such as not being able to sleep because either the body or your mind is not relaxed. 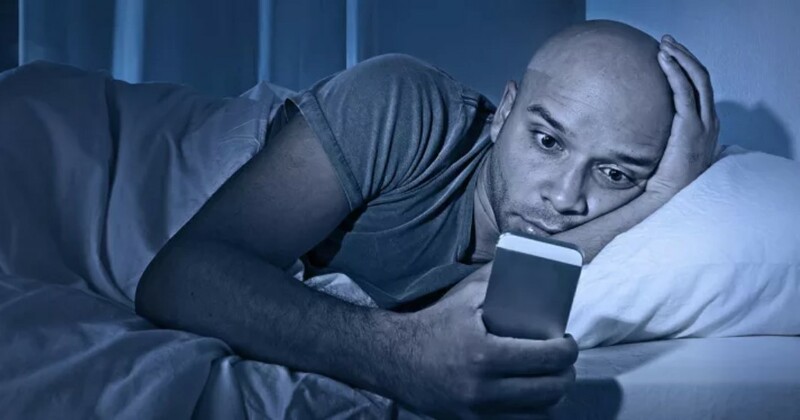 People with this insomnia usually have excessive, daily worries about not being able to fall or stay asleep when desired and worry that their efforts to fall asleep will be unsuccessful. Many people with this condition are concerned that they will never have a good night of sleep again. Stress is the most common cause of psycho-physiological insomnia. While sleep problems are common when going through a stressful event, some people continue to have sleep problems long after the stressful event is over. Sometimes the stress and sleep problems create an ongoing, worsening cycle of each problem. Acute insomnia may not require treatment. Mild insomnia often can be prevented or cured by practicing good sleep habits. Sleeping pills are not recommended as they can be relied upon and can disrupt sleep cycles. Treatment for chronic insomnia includes first treating any underlying conditions or health problems that are causing the insomnia. If insomnia continues, your health care provider may suggest behavioral therapy. Behavioral approaches help you to change behaviors that may worsen insomnia and to learn new behaviors to promote sleep. Behavior therapy is commonly used to treat psycho-physiological insomnia. Other techniques such as relaxation exercises, meditation, biofeedback, sleep restriction therapy, and reconditioning can be of value. Although these techniques require some effort and take time to work, they do provide a means of coping with insomnia that help people return to more normal sleep patterns. Remember, there is no quick fix to cures. Good sleep habits, also called sleep hygiene, can help you get a good night’s sleep. Think positive. Avoid going to bed with a negative mindset, such as “If I don’t sleep for 8 hours, I will feel terrible tomorrow. Get regular exercise. Try not to exercise close to bedtime because it may stimulate you and make it hard to fall asleep. It is suggested not to exercise four hours before the time you go to sleep. Make your sleeping place comfortable. Be sure that it is dark, quiet, and not too warm or too cold.If light is a problem, try a sleeping mask. If noise is a problem, try earplugs, a fan, or a “white noise” machine to cover up the sounds. Relax before going to bed by meditating, listening to relaxing tunes (free download here), taking a bath, or enjoying another activity you find relaxing. Stop clockwatching. Turn the clock around and only use the alarm.